Pritzker Prize-winner Kevin Roche (b. 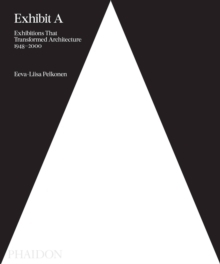 1922) is one of the most critically acclaimed architects of the postwar era, distinguished for the pioneering urban structures he designed in the 1960s and 1970s, including the Oakland Museum of California and the Ford Foundation Headquarters in New York. In a career that has spanned more than half a century, Roche has pioneered new territories in design methodology, building technology, and environmentalism. A student of Mies van der Rohe's and a principal design associate of Eero Saarinen's in the 1950s, Roche is the leading member of the third generation of modern architects. 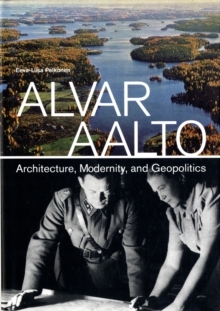 One of his most important contributions has been to perceive architecture as part of the larger man-made environment, which entailed understanding transportation, infrastructure, and landscape as architectural problems; considering public spaces, including gardens, as integral to architecture; and designing some of the earliest energy-efficient buildings. This book offers a comprehensive look at the extraordinary range of Roche's built work, from his corporate commissions for more than thirty-eight headquarters for such companies as Aetna, Conoco, General Foods, John Deere, Merck, and Union Carbide, to his master plans of major universities and museums, including the Metropolitan Museum of Art, the American Museum of Natural History, and the Central Park Zoo. 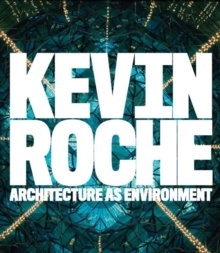 The book extends to Roche's most recent projects, including recently completed headquarters for Banco Santander in Spain, Bouygues in Paris, and a national convention center in Dublin. 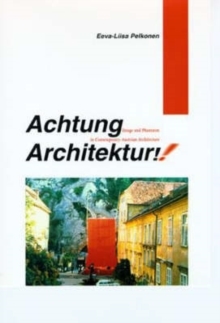 Drawing on previously inaccessible archival materials and unpublished interviews to present the full range of Roche's career and to place his innovative work within the history of modern architecture, this book shows why Roche's insistence that architecture is a part of a larger context, both man-made and natural, is more timely than ever. Pages: 280 pages, 226 color + 107 b-w illus.